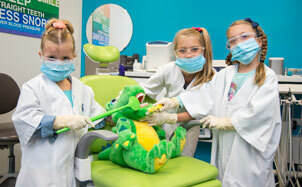 We provide full-service dentistry to keep families healthy and smiling. From their check-up and clean to functional orthodontics, we care for kids of all ages. 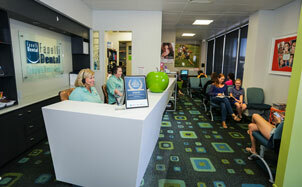 Our clinic is warm and welcoming and features the most modern technology. Give us a call to arrange your next dental appointment. Welcome to Fanelli Dental, the dental practice of Dr Remo Fanelli and Dr Stephen McGuigan. We look forward to welcoming you and your family to become a part of our dental family with the five-star care you deserve. We don’t just care for teeth and gums; we care for our patients as individuals. Our commitment to leading-edge dentistry using the latest techniques and finest materials provides an excellent, long-lasting value for our patients. Our dentists continually seek additional training and education, making them leaders in the field of dentistry. At Fanelli Dental, we can treat most oral conditions in a single location. In addition to our active maintenance programme, we offer beautiful restorative dentistry, sleep disorder and TMJ treatment, orthodontics and Invisalign as well as full-smile rehabilitation. Our whole body approach to dentistry accounts for the intricacies of developmental and growth disorders as well as bite function and overall wellness. We welcome children, adolescents, teens, adults and seniors to our Gladstone dental practice and provide life-stage specific dentistry to help your family maintain healthy smiles throughout their lifetimes. By providing a family-friendly environment, we make each of your loved ones feel welcome and valued. Many patients come to us with anxiety about upcoming procedures. Some even find it difficult to make their regular check-up and clean appointments. Our kind and friendly team puts most patients at ease, but we understand that some prefer a little help. We offer a relaxation menu for our patients looking to keep the fear out of their dental appointments. Our team will be happy to discuss these options and help you receive the dentistry you need in a stress-free state. 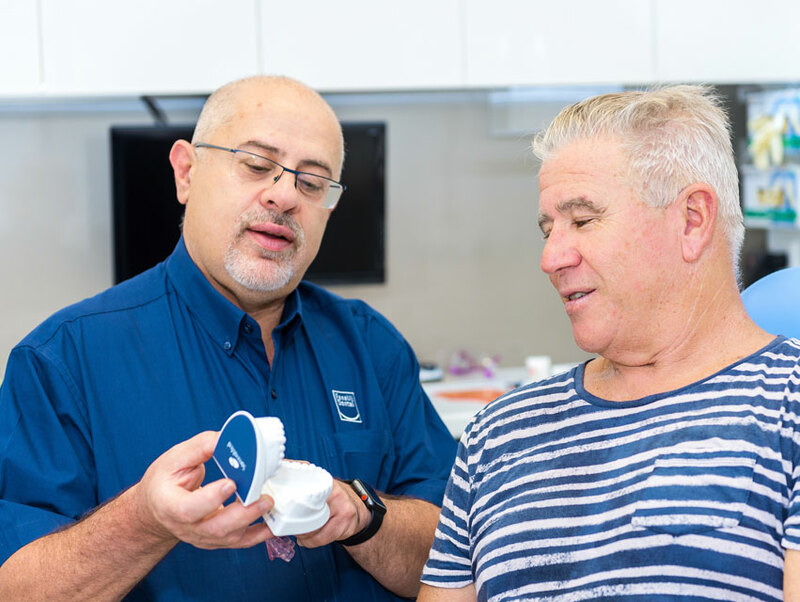 At Fanelli Dental, we are not in the business of selling dentistry; we are here to care for our Gladstone families with the very best dentistry and to help them obtain the most accurate information to make a choice their own smiles. Using the latest technology, we are able to gather the most accurate information and share it with our patients privately in our state-of-the-art patient rooms. We will present all of the treatment options and respect the choice that patients make for the future of their oral health and smiles. 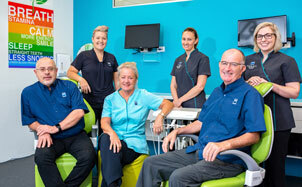 Our dental clinic is conveniently located on Goondoon Street between Herbert Street and Bramston Street. We have convenient street parking available in front for patients on the go. We proudly serve Boyne Island, Tannum Sands, Miriam Vale, Calliope, Biloela, Agnes Water, Gladstone and the surrounding communities. We accept all health funds and offer patient financing options to make dental expenses manageable for budget-minded families. We invite you and your family to contact us to arrange a dental appointment and will provide you with the high level of patient and dental care we want for our own families. I am really nervous about dental work. Can you help?